The results are available at RowTimer.com. The results, including adjusted masters times, are now available here. Please also email us with any feedback about the day, we would really appreciate it. Two venues - almost guaranteed racing! In ordinary conditions, the UW Head of the Severn will run on our own, fantastic, stretch of the river Severn in Worcester. We can offer a wind sheltered, 6km course. However, it is a race that falls in late January/early February, and we often have flooding. We have therefore arranged a reserve venue on the Gloucester-Sharpness Canal, courtesy of Gloucester Rowing Club. We run the event in different ways, depending on the venue. When in Worcester we will offer 3 divisions, 2 long (6km) courses, with a short (4.25km) course in between. However, in Gloucester we will have two divisions, each containing two start points; one for a long course (5km), and one for a short course (1.75km). When entering crews, please plan accordingly for either scenario! Details of which venue we will use will be published through this website in the weeks leading up to the race. Please make sure of the venue before you travel! Please see the entries page for information on entering. Please also see that page for an explanation of the change we are making this year that both entry & payment need to be received by the deadline of 3pm Saturday 25 January 2019. 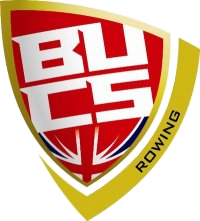 This race is run under the rules of British Rowing rules and the British Rowing Rules of Racing will apply. Umpires will be stringent on checking boats on the day. Please check that all heel restraints meet the guidelines, and that all boats have clear boat codes. For the event safety plan, please click here. This division is for beginner/novice fours and eights, less experienced juniors in eights/octos and fours/quads, and for senior singles, doubles/pairs. For full details of which events are in which division, click here. Course for younger juniors/beginners in Women's IVs and Men's VIIIs, and for seniors in singles, pairs, or doubles. Course for younger juniors/beginners in Men's IVs and Women's VIIIs, and for seniors in singles, pairs, or doubles. Photography will once again be provided by the brilliantly talented Ben Rodford. Images will be uploaded to his website after the event. Live timing will be available from RowTimer. Track your crews as they make their way down the course, being recorded at 4 separate points. Watch them in start, event, or club order. You can also see their %GMTs calculated to compare across boat classes!